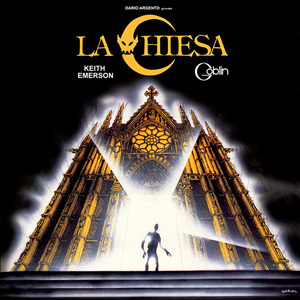 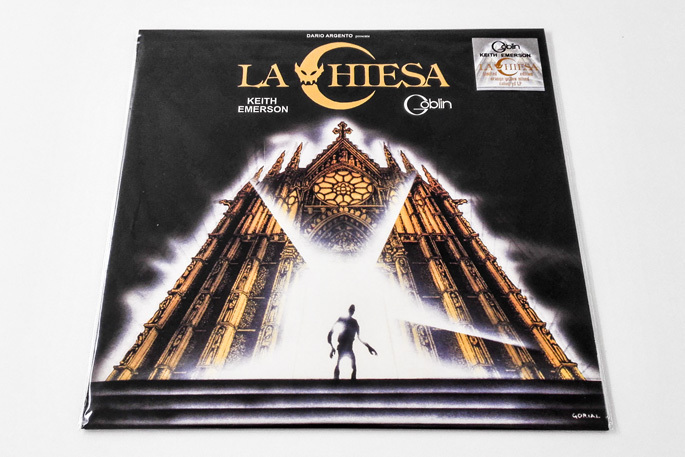 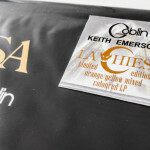 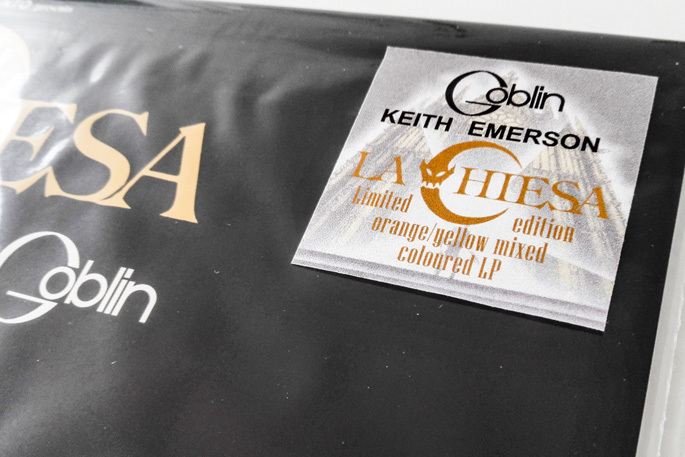 “La Chiesa” (The Church) is a 1989 film, directed by Michele Soavi and produced by the master of Italian horror Dario Argento; the tracks here selected for its soundtrack have been composed and performed by Keith Emerson and Goblin, which is, in this case, the pseudonym for the sole Fabio Pignatelli. 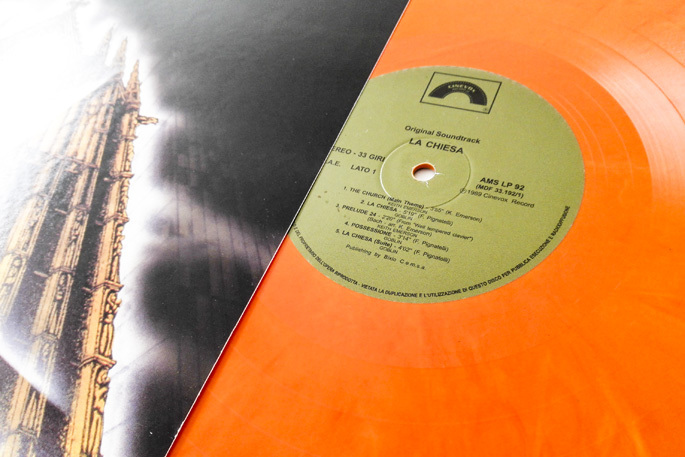 The result is stylistically homogeneous: classical, rock and electronic sounds are skillfully blended. 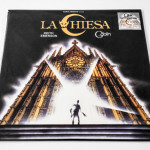 Emerson, in particular, makes extensive use of a church organ, mindful of his work for Dario Argento’s film “Inferno” of a few years earlier (1980), while Pignatelli clearly shows his ‘goblinian’ soul, just updated by about a decade. 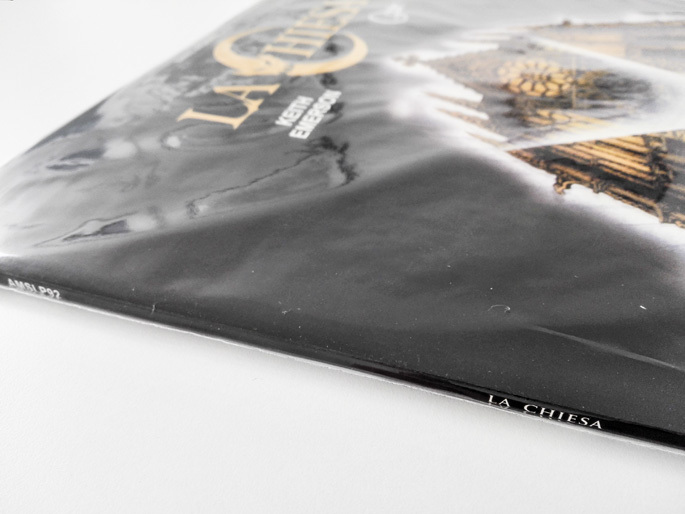 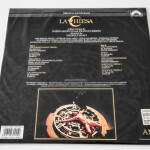 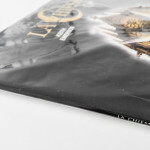 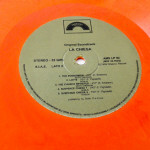 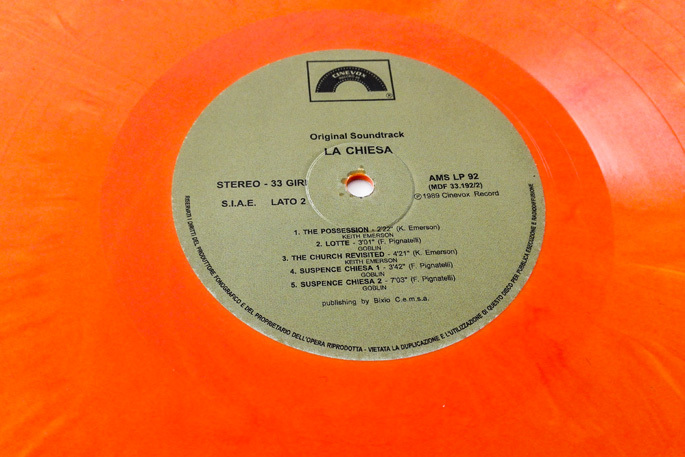 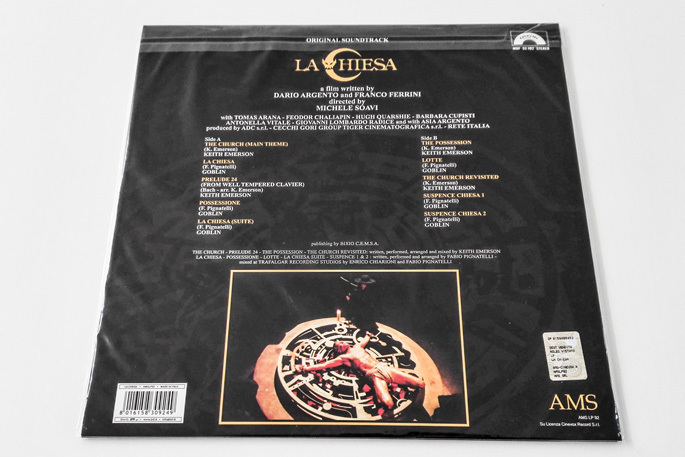 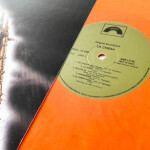 First-ever vinyl reissue, including the two tracks “Suspence chiesa 1” and “Suspence chiesa 2” that were absent in the original 1989 LP.